The Bellevue City Schools Transportation Department is continuing to strive for excellence. Our major goals are safety, fiscal responsibility and customer service. Our fleet has 24 buses and 2 vans. Each day we transport approximately 1009 students on 15 daily routes. Each route includes four schools; both with morning and afternoon routes. Two routes service six out of town schools. On any day our buses travel 1,285 miles. 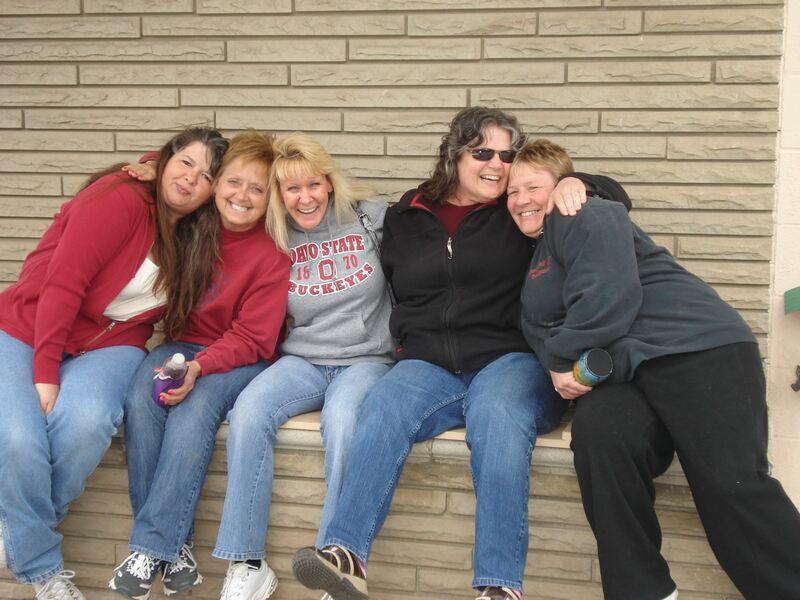 In addition there are also day and evening field trips and sporting events which our students are bussed to. School buses are, by far, the safest vehicles on the road, with a safety record that government authorities confirm is better than any other form of transportation. School buses are designed and constructed with more safety features than any other vehicle, and the school transportation industry works continually to incorporate the latest technology, training and testing to keep school buses safe. School bus drivers are one of the greatest assets of the school bus industry. 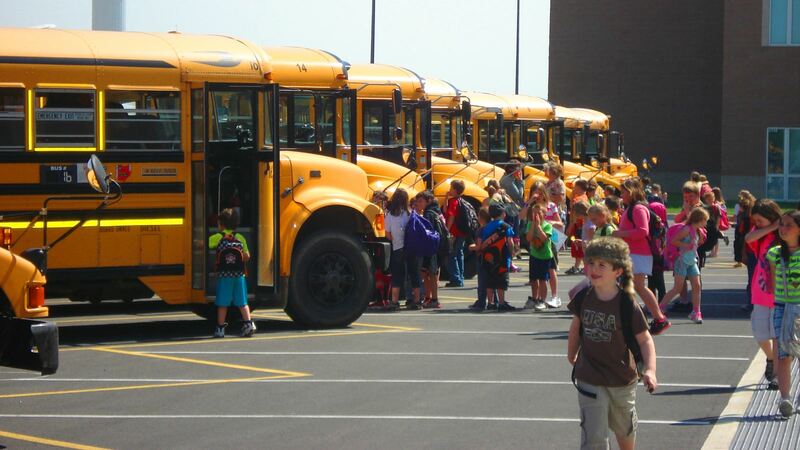 The Bellevue City Schools Transportation Department is committed to ensuring that every driver receives the best screening, training and supervision to prepare and support them in their extensive responsibilities. Our well-trained, tested and monitored drivers are another safety feature, as important as design and construction of school buses. Drivers look after our children’s safety during every step of the trip. Our commitment to student safety is the districts #1 priority. Will the pick-up and drop off times be consistent? During the first week of school, our pick up and drop off times might vary by as much as 30 minutes until we fine tune the bus routes and learn which students are riding. Loading the students at the end of the day, the first few days of school, takes a little time. Please be patient with us during this time. After the adjustment period, times should be consistent. Parents or babysitters receiving kindergarten students should be out at the stop 10 minutes before the scheduled drop off time. I cannot see my child’s bus stop from the house. Are there state laws that set the standards for bus stop location? No law requires a parent to see the bus stop from home. Students in Ohio may be assigned to a bus stop up to one-half mile from their home and we encourage parents to accompany their child to the bus stop whenever possible. 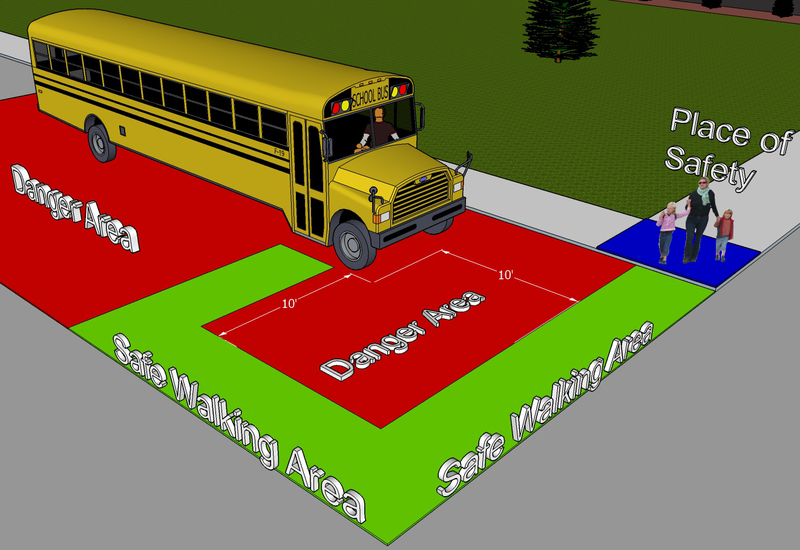 This teaches the child safe habits of walking to and from the bus stop and may give the parent peace of mind. Bus stop locations are determined by each district’s board of education. Can I allow my child to wait inside of my house until the bus is at the stop? Ohio law requires children to be waiting at the bus stop prior to its arrival. Bus drivers count the students at the bus stop before they load and as they get on the bus to ensure all children are safely on board. If students are not waiting at the bus stop the bus driver cannot count them and cannot be certain the students are all safely on board. Waiting at the bus stop before the bus arrives further ensures that no one chases after the bus – this is a very dangerous thing to do. Many districts also instruct their buses to not stop at locations where no students are waiting. Will my child be picked up and dropped off on the residence side of roadway? Are the buses equipped with seatbelts? According to the federal motor vehicle safety standards, school buses are not required to have seatbelts. However, school buses are designed with fully padded compartmentalized seating areas to offer protection to the passengers in much the same way as an egg carton does for an egg. A school bus is 180 times safer than any other form of ground transportation. Teaching your child to sit properly (facing forward with their back against the back of the seat) is the safest way to reduce risk of injury in any motor vehicle. All drivers will enforce this rule. What happens during delays and closings? Classes will begin two (2) hours later than usual. Immaculate Conception students will also be on the same delay. The Ehove bus will depart the high school two (2) hours later than originally scheduled. Dismissal for all schools will be at the normal dismissal times. Students that attend other schools that we service will also be on the same delay. Delaying the opening of school provides additional time for school personnel, city personnel and county personnel to remove snow and ice from the roadways and sidewalks. In the event weather conditions do not improve as expected, the schools may close. When schools are closed all schools in the district are closed including Immaculate Conception. There will be no bus transportation provided for the out of town schools that we may service, that remain open. Please know that if Bellevue Schools are announced closed, that is a final decision and will not be changed. Weather conditions can delay the buses from arriving on time to the appointed bus stops. Every effort is made to adhere to the normal transportation times but safety of the students is our main objective. Students are still required to be ready at the bus stop prior to the arrival of the bus. When a bus is late to individual schools, students are excused for the time and are not counted tardy to school. Threatening weather such as snow, ice or fog, which may occur during the school year, can disrupt the regular school schedule. This can be most apparent during the winter months. Snow, ice or fog can create conditions which may require schools to be delayed or cancelled. Our district staff understands that our decision to open or close schools in bad weather has a big effect on families. We also understand that our students are better served both academically and socially, by being in school. However, our top priority is the safety of our students. Information on road conditions from transportation staff and other local officials. We must give careful consideration to the most dangerous roads in the district. One street looks clear; travel elsewhere in the district may be dangerous. Our district buses are routed in four counties; Seneca, Sandusky, Erie and Huron covering 115 square miles. Consideration given to some high school students that may drive to school. Amount of snow and ice accumulation. Lack of electricity or heat in the buildings due to power outage. Temperature and wind chill. Some of our students walk to school, and some must wait outside for the bus. Decision of neighboring districts. Sharing information with other local districts and checking if they are opening and closing. Although we do our absolute best in this process, we know that often no perfect decision exists. If you feel that it is unsafe for your child to attend school, use your best judgment on weather he or she should attend. We hope this explanation helps everyone understand the process our staff uses to make the best possible decision for everyone in the District.